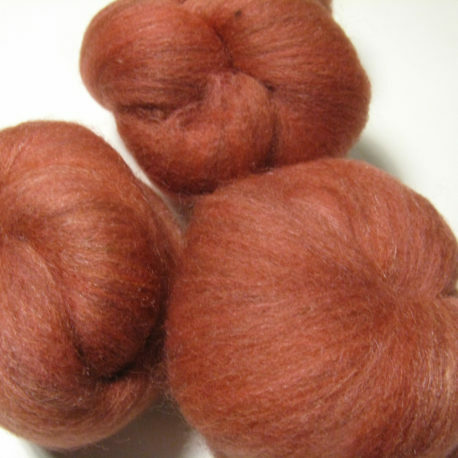 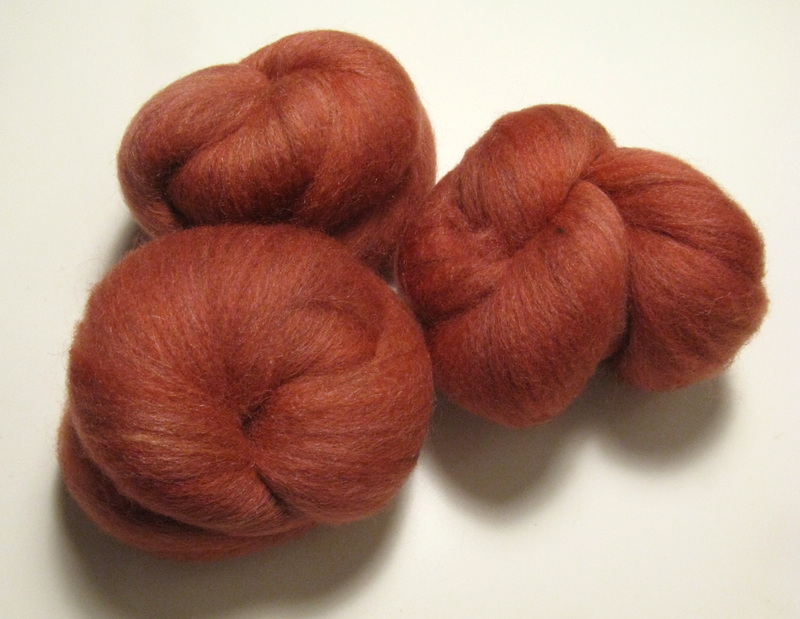 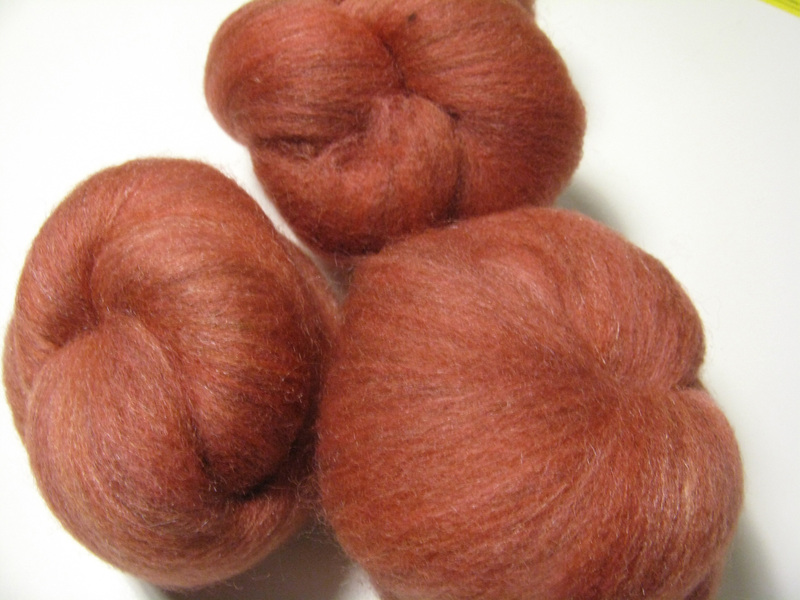 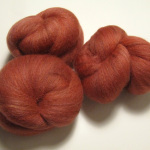 This 2.2-oz trio of batts is carded from corriedale, BFL, and tussah silk, to a subtly heathered dark pink with orange undertones. 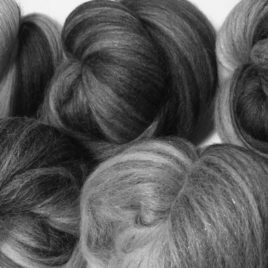 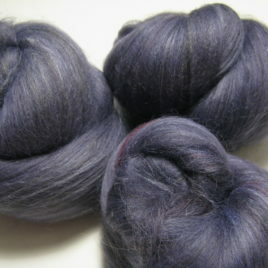 These batts should spin up smoothly and near-effortlessly into a yarn with some slight variation in color and a bit of shine from the silk. 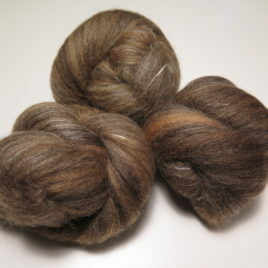 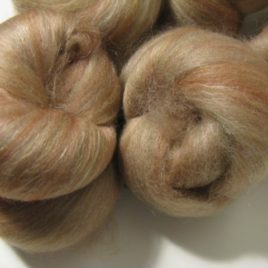 This blend is fairly soft but still pleasantly woolly.